DETROIT - Jurors were deadlocked and a judge declared a mistrial Friday for a Detroit police officer charged with recklessly handling his gun and killing a 7-year-old girl, Aiyana Stanley-Jones -- the second time a verdict couldn't be reached in the case. The developments came after the jury indicated it was struggling to reach a unanimous decision in the case against Joseph Weekley, and Wayne County Circuit Judge Cynthia Gray Hathaway urged them to work out their differences. Weekley's first trial ended without a verdict in June 2013. The jury was hung on a charge of recklessly using a firearm, a misdemeanor carrying a maximum punishment of two years in prison. It was the only count remaining after Hathaway last week dismissed a felony charge of involuntary manslaughter. The victim, Aiyana, was shot in the head while she slept on a couch in May 2010. Weekley, a member of an elite police unit, was the first officer through the door during a chaotic search for a murder suspect at her home. Weekley's submachine gun fired seconds after a stun grenade was thrown through a window to confuse anyone inside. He didn't testify but has insisted that he mistakenly pulled the trigger during a struggle with Mertilla Jones, the girl's grandmother. Police at the scene were accompanied by a camera crew from a TV reality show, "The First 48." The midnight raid was recorded from the outside, not the inside where Aiyana was shot. A prosecutor had told the jury that the story was a lie intended to cover up Weekley's carelessness. "His training says, keep your finger off the trigger. ... All he had to do is follow his training and we wouldn't be here," prosecutor Rob Moran said Tuesday. Defense attorney Steve Fishman had urged the jury to disregard the testimony of Mertilla Jones, especially after she said she believed her granddaughter was intentionally killed. Jones denied interfering with Weekley. "No amount of training, no number of missions eliminates the possibility that something can happen," Fishman said. 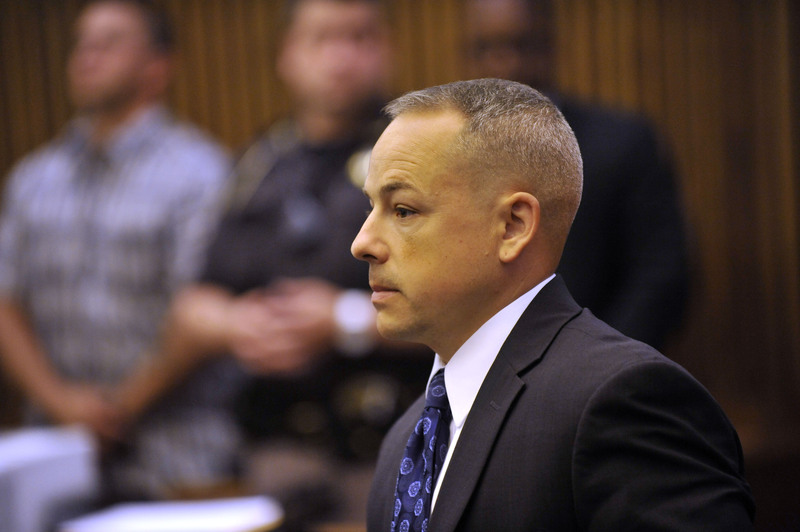 Prior to the mistrial being declared Friday, Officer Weekley issued a statement to CBS Detroit saying, "No matter the outcome of any jury's decision, I have already been devastated and my life has been ruined irreparably by the events that occurred on May 16, 2010." It continued: "I know in my heart and before God that what transpired that day was out of my control, but I will still have terrible grief weigh upon me every day for the rest of my life."